As we head into the last month of summer and our imaginations begin turning to scarves, boots, and all things pumpkin (pumpkin bread, pumpkin cookies… REAL pumpkin PSLs?!). I find myself daydreaming about cool fall afternoons in the park sitting under changing leaves and sipping hot coffee, munching on a fresh batch of apple cider doughnuts with my husband while our kids are running through the leaves. But… right now it is still 90+ degrees and in a week our oldest will start preschool! 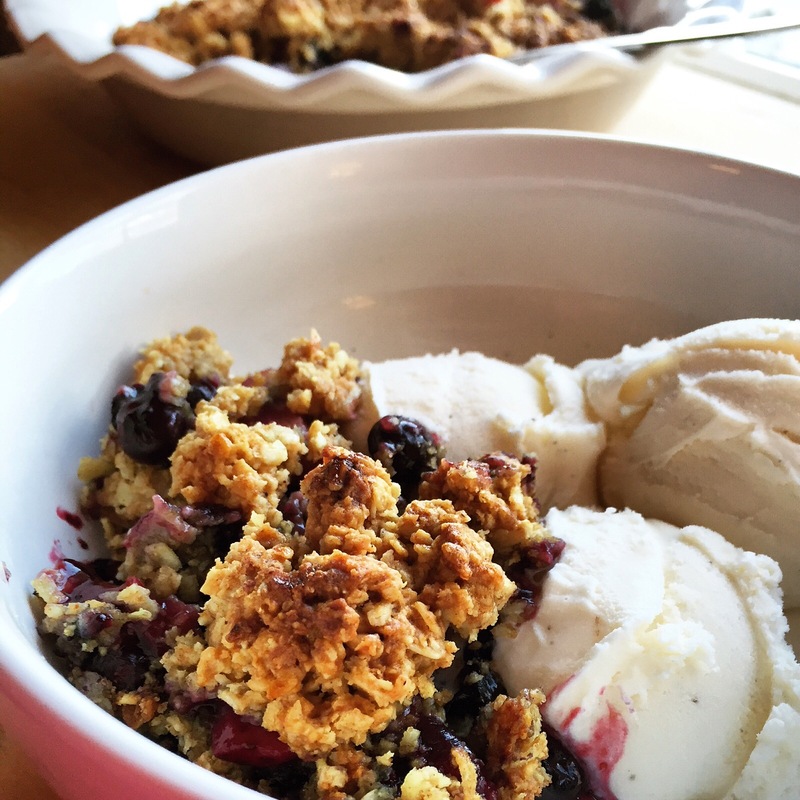 So I am trying to put my autumn daydreams aside and focus on enjoying our last week all all home together with lots of fun outings, iced lattes and heaping bowls of coconut berry crisp with a side of vanilla ice cream. Fresh berries topped with shredded coconut and crunchy oats that are delicately spiced and sweetened with pure maple syrup. 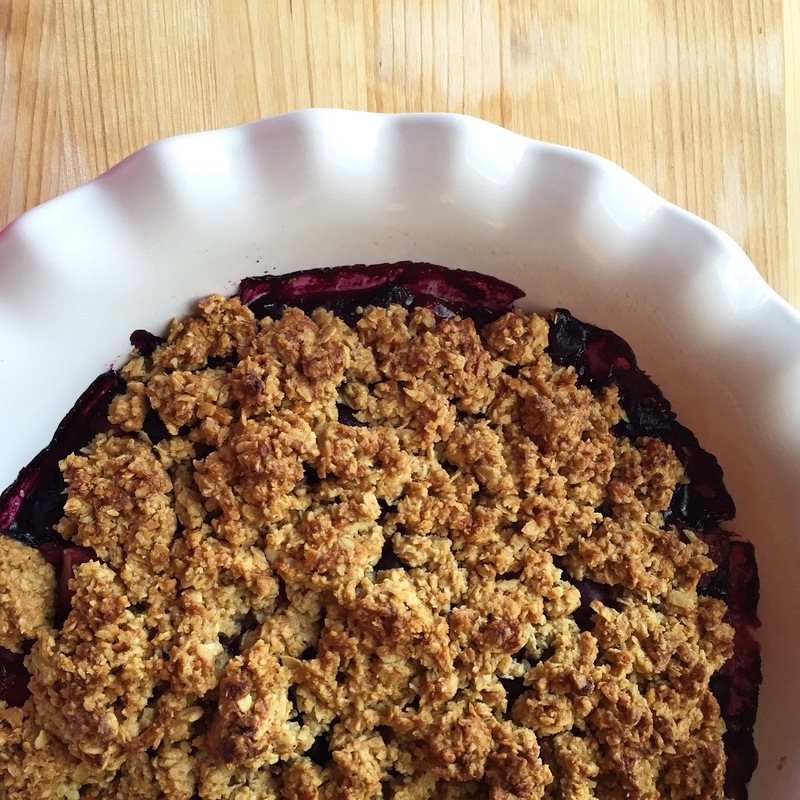 This delicious dessert is quick to pull together and a great use for leftover berries. Preheat oven to 350 and grease a pie pan or small baking dish. In a medium bowl toss berries with vanilla, lemon zest and corn starch. Pour your filling into the prepared baking dish and set aside. In the bowl of a food processor combine oats, flour, baking powder, salt, shredded coconut, and spices Pulse on low until just combined. Add your butter and coconut oil and pulse until pea sized clumps form. Careful not to over pulse the topping. 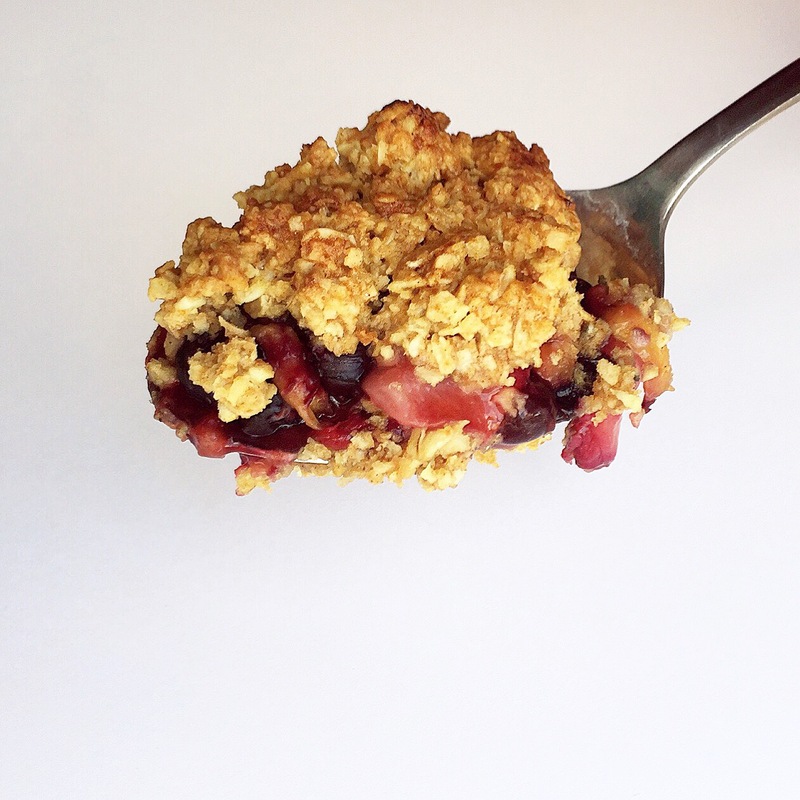 Spoon your topping evenly over the filling. Bake at 350 for 30-35 minutes or until the top in golden brown and your filling is bubbling around the edges. 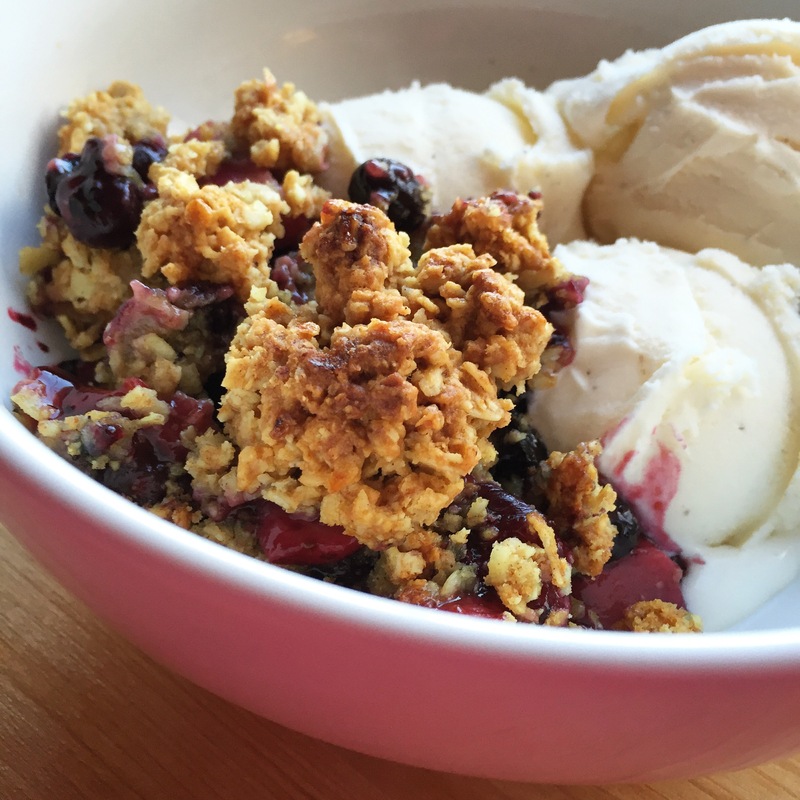 Serve the crumble warm with ice cream or whipped cream. * Make this recipe vegan by using all coconut oil.